MULTI VEHICLE PARKING INSIDE COMPOUND & SWIMMING POOL. All ROOMS CONTAIN 2 DOUBLE BEDS. KUBO/GAZEBO FOR RELAXING AND FAMILY EVENTS. MANAGER ON SITE FOR EASY COMMUNICATIONS. HIKING TRAILS: TAYAK HILL, MT. SAN CRISTOBAL & MT. BANAHAW & MT. MAKILING. NATURAL SPRING & WATERFALLS: NAGCARLAN RIZAL, MAJAIJAI FALLS. BANGKONG KAHOY HILLS, BATO SPRINGS RESORTS, BUNGA FALLS. 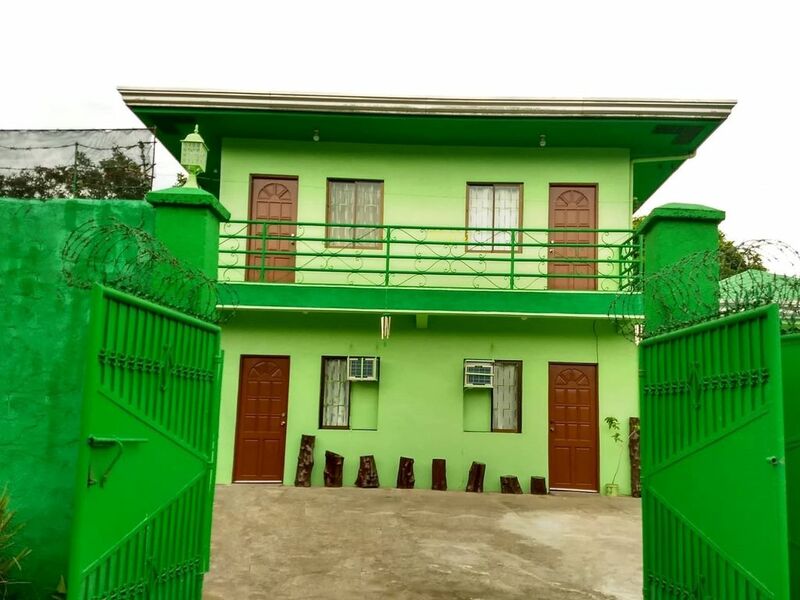 MJjGREENHAUZ NEARBY THE CITY OF SEVEN LAKES & RESORTS. LOS BANOS HOT SPRING & WATER PARKS & SO MUCH MORE. Smoking is not permitted in the rooms, but is welcome in designated areas on the property. Alcohol is permitted, but obnoxious or loud rude behavior may result in removal of guest. Very Clean, Spacious, Xlarge bathrooms. Complete dishes: Plates, bowls, glasses, cups, Forks, knives, spoons, etc. Serves to maximum guests. We have kid's complete items same as the above listed. Local Cable Boxes in each room & A Satelite cable in the front room at floor level. Strictly FOODS are NOT allowed on Patio/Terrace & in BEDROOMS for Safety. Our Pool has Fresh Water not from Public Waterline .